James Comey, FBI, and Others Sued by Whistleblower Dennis Montgomery and His Counsel Larry Klayman for Illegal Surveillance and Cover-Up! Comey Also Alleged to Have Obstructed Justice! (Washington, D.C., June 6, 2017). Larry Klayman, the founder of Judicial Watch and Freedom Watch, and a former prosecutor of the U.S. Department of Justice has announced that he and his client have filed a complaint in the U.S. District Court for the District of Columbia against former FBI Director James Comey, the FBI itself, the CIA, NSA and other intelligence agencies, as well as their former and current heads, for illegal and unconstitutional surveillance of Klayman and his whistleblower client Dennis Montgomery, a former NSA, CIA and DIA contractor who came forward to Comey, under grant of immunity, with 47 hard drives and 600 plus million pages of information, as well as testified under oath, showing that SCOTUS justices, judges, prominent businessmen such as Donald Trump and others have been spied upon. 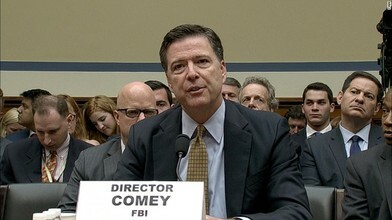 In the case of Comey, he is alleged to have obstructed justice by covering up the FBI's investigation of the information and testimony, much of which was classified, which Montgomery provided to him and his Special Agents, Walter Giardina and William Barnett, as well as over 3 hours of his video-taped sworn testimony. The case is styled Montgomery and Klayman v. Comey et. al, (17-cv-01074) and was assigned as related to a prior case, Klayman et. al v. Obama et al. (13-cv-00851) in which Klayman successfully preliminary enjoined the NSA and others from constitutional spying. The judge on that case was the Honorable Richard J. Leon, who found the defendants' illegal actions "almost Orwellian" and a violation of the Fourth Amendment. Thus, Judge Leon will preside over this case against Comey. 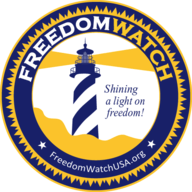 A copy of the complaint can be found at www.freedomwatchusa.org and is self-explanatory. "Former FBI Director Comey and his agency have not only illegally spied on Mr. Montgomery and me, but have covered up and thus engaged in an obstruction of justice of the FBI's and the other intelligence agencies' illegal and unconstitutional mass surveillance. In the process of this illegal behavior, they have seriously damaged Montgomery and me, and they will be held fully accountable under the rule of law, for this and other tortious acts which should also now be included in the on-going grand jury investigation of Special Counsel Robert Mueller."